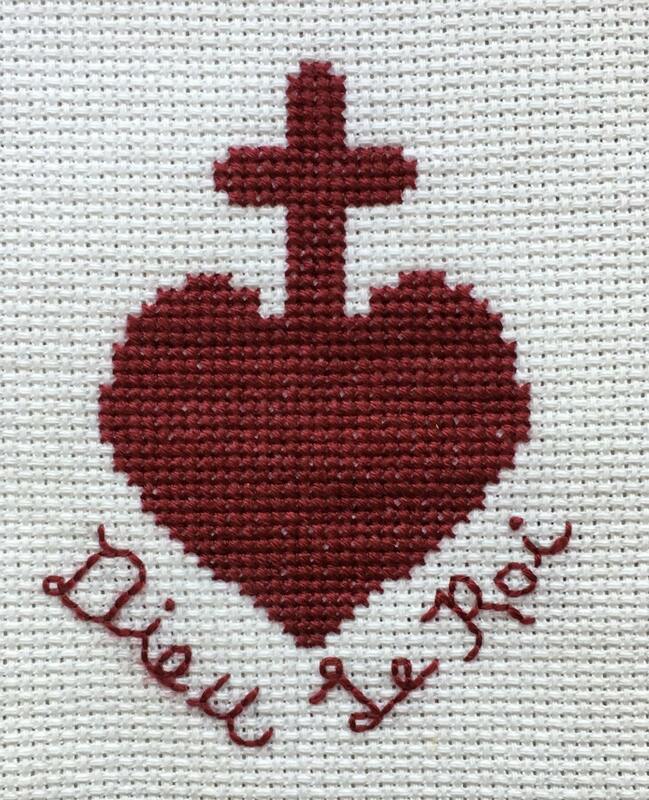 A replica of the Sacred Heart patch of the Vendean royalist insurgents of the French Revolution, this cross stitch chart is a great way to start stitching and learn a little Catholic history at the same time. 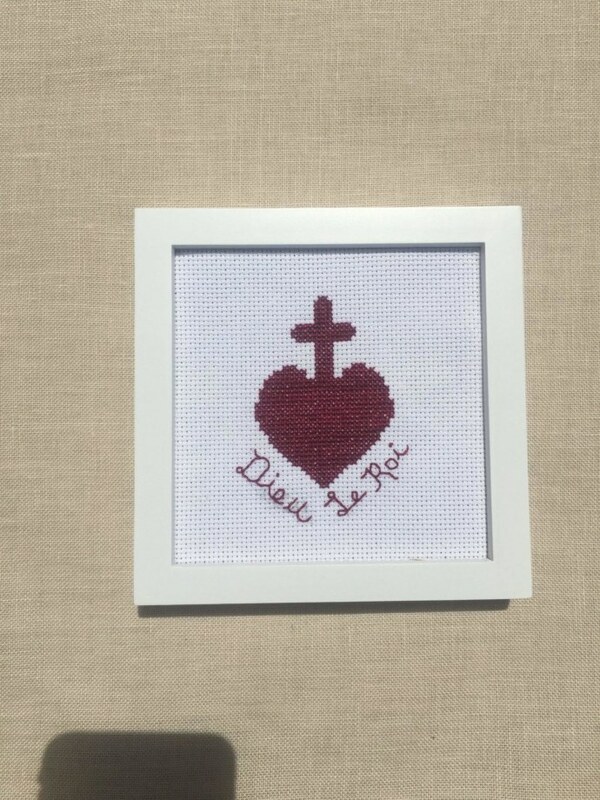 The Sacred Heart is stitched in cross stitch and the motto ‘Dieu le Roi’ meaning ‘God the King’ is stitched in back stitch with a couple French Knots. 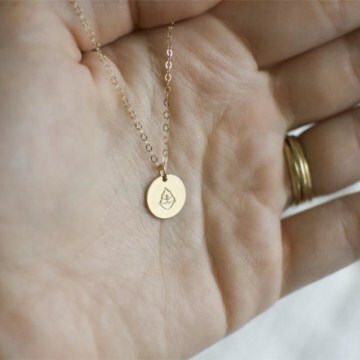 An important part of French history all Catholic children should know about. 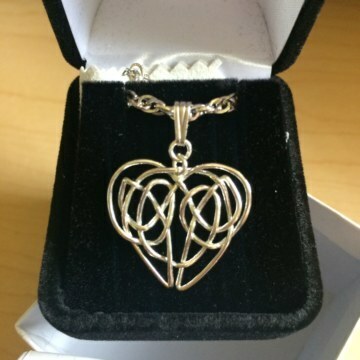 This is a simple and quick project that makes a great gift for a family member or priest. 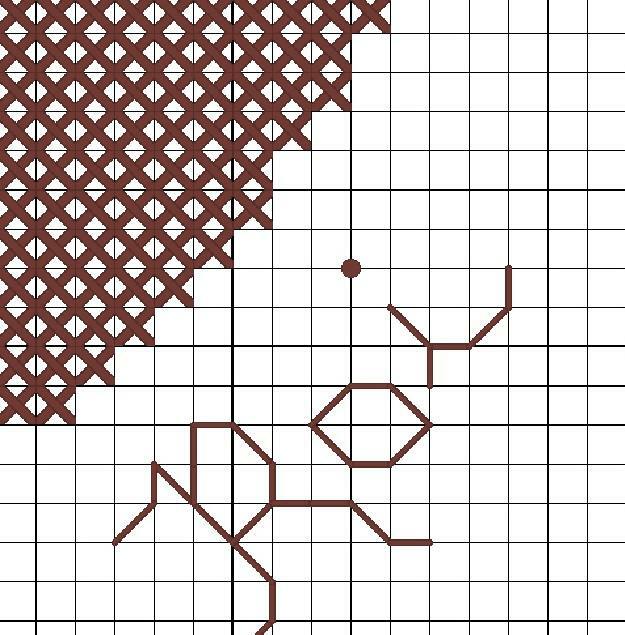 Model is stitched on Aida 14 ct. fabric in white though any cross stitch fabric will do.